How do I create an event on my calendar? 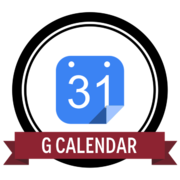 There are a couple of different ways to create an event on your Google Calendar. Review this help page for the most common steps. How do I invite a person to my clendar event? You can add anyone with an email address to your event, even if they don't have Google Calendar. If the recepient "accepts" the invitation, the event will automatically be added to their Google Calendar. Follow these steps for more information. Can I print my Google Calendar? In most cases, a digital calendar should remain digital because events change. But in some situations, it can be helpful to print a week, month, or the agenda view. Watch the video tutorial to learn how. How do I sync Google Calendar on my mobile phone? When you sync your calendar on your mobile device, all your events are automatically backed up so you can always see your events on any device. Review this help page for directions for your specific device. How do I set or adjust my notification settings? To help make sure you never forget an event, you can get notifications on your phone, computer, or by email. You can change your default notification settings or change your notifications for a single event. Watch the video tutorial or visit Google's Calendar Help page for step-by-step instructions.